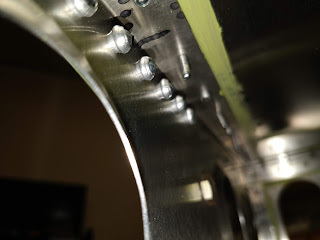 Now had never seen this before, because normally you use rivets where the fold line matches the thickness, so I got worried this might be a problem and I would have to drill them all out. But, after some research and talking to TAF, these are just fine! They are within spec and will hold fine. Just something "different" one may not have experienced before and wonder about.